It's very apparent that I was catching the last dredges of melting snow at Mt. Racey in Hokkaido's Yubari district before spring and cherry blossoms hit Japan in full force; the winter season typically starts in mid to late December and lasts until early April in some areas. After almost a decade of chasing that powder, I got the nerve to barrel down the 35 degree mountainside with the cold air whipping past my face while performing some side to side drifting. Exposed patches of rich brown-black soil crop up every so often, with tufts of grass a visible reminder of the season's end. 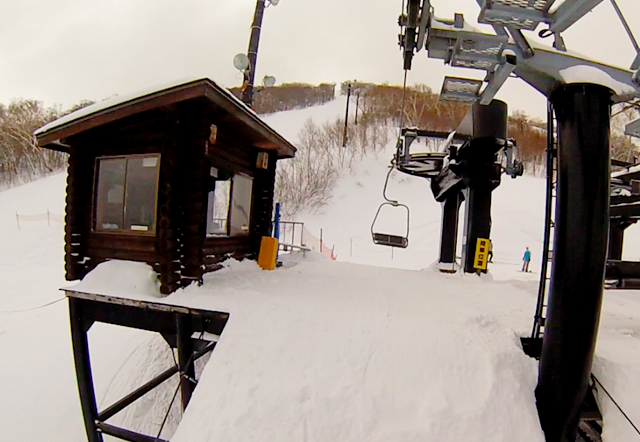 It's a little scary but I'm feeling confident despite the lack of skiers and boarders on the slopes. 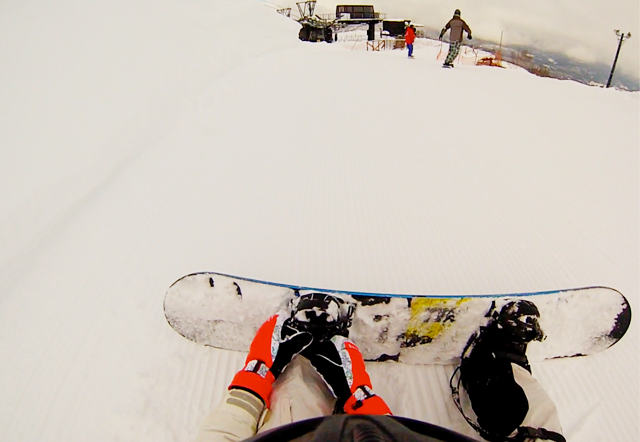 I am by no means an expert snowboarder. In fact, I’m not even close to being able to do anything technically difficult. But hey, one can dream, right? Beginners would do well here especially in good snow conditions and could finish all the runs in a few days. As for the advanced slopes, don't even think about going unless you're prepared to deal with sudden sharp turns and dips that only promise imminent injury or the occasional flying into the side of the mountain. Having the blessing of a dad who is slightly obsessed with skiing, the annual excitement of gearing up for a new ski location and the promise of a glorious onsen (hot spring) to soak in after a day on the slopes, hasn't changed but Japan's skiing scene certainly has. 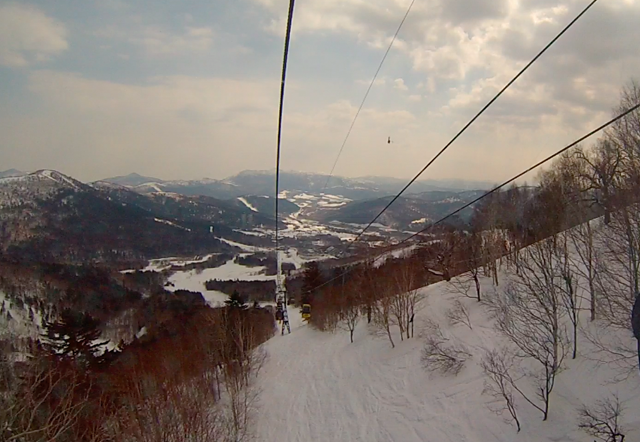 There are more expats, mostly Australians and Chinese who swarm the 'holy powder' of Niseko and Hakuba. 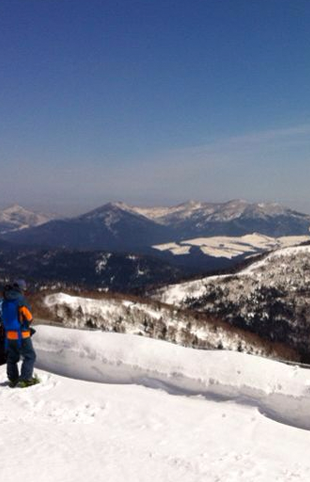 Most ski resorts surrounding Tokyo will do fine if you want to remain close to the capital. Kusatsu Kokusai Ski resort has one of the best natural hot springs, and one of the longest continuous runs at eight kilometers. The ryokan (traditional Japanese accommodation) in this area are also higher in quality than others from my experience. Niseko, as a revered location amongst snow sport enthusiasts, may seem overhyped but if you're going to go then a ski-in, ski-out resort like the Yumoto Niseko Prince Hotel Hirafutei would be my recommendation if you don't want to do the awkward snowboarder shuffle across to the lifts everyday. Hokkaido is where the magic happens for snow bunnies because its frigidly cold in winter thanks to its serendipitous geography. Famous areas like Furano, Tomamu, Appi Kogen and Nagano all generally live up to their reputations but it's best to get up to date recommendations from ski forums or websites like www.powderhounds.com that can give you fairly accurate/honest information in English. Unless you are planning to go to Hakuba or an expat-heavy area, be prepared for a severe absence of English and a strict adherence to punctuality and order, because you will probably end up losing valuable time and money if you don't plan ahead. Shinkansen fare to the ski areas will eat up the majority of your expenses but with ample planning and research, cheaper tickets and rail passes help enormously. There is a JR Rail Pass available to foreigners but ticket offices are usually in more well-known cities like Singapore so consult the Japanese Embassy for more information on this to get the 20-ish percent discount. Now go chase that powder, and the glorious lifestyle that comes with it.